Come join us on top of Beach Rock to begin your Easter celebration at the Sunrise Service. Should you decide to go, please be aware that it is a steep hike up the side of the rock so come prepared with good shoes. Once you get to the top, the view of the reservoir is worth it as the sun breaks over the mountain. 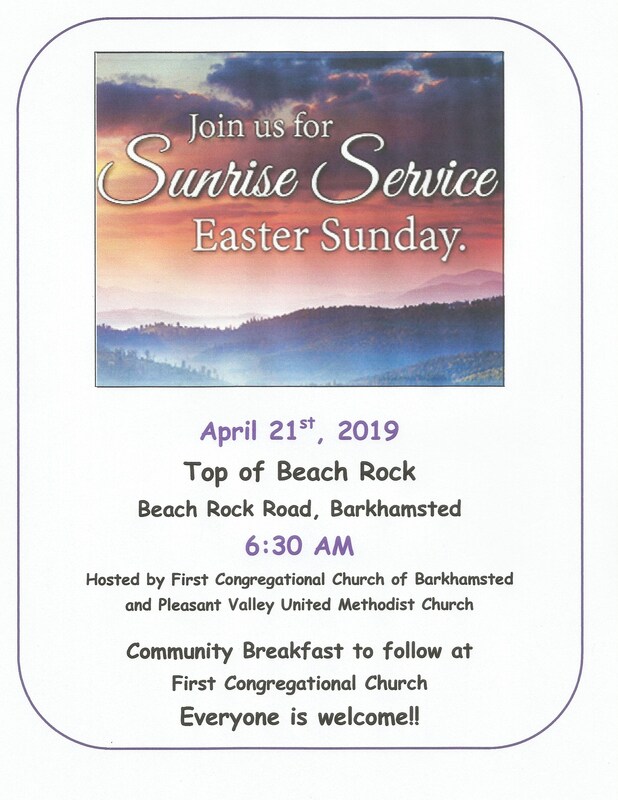 After the short worship service, come join everyone at the community breakfast hosted this year at Barkhamsted First Congregational Church (Barkhamsted Center Church). What a way to start the day!